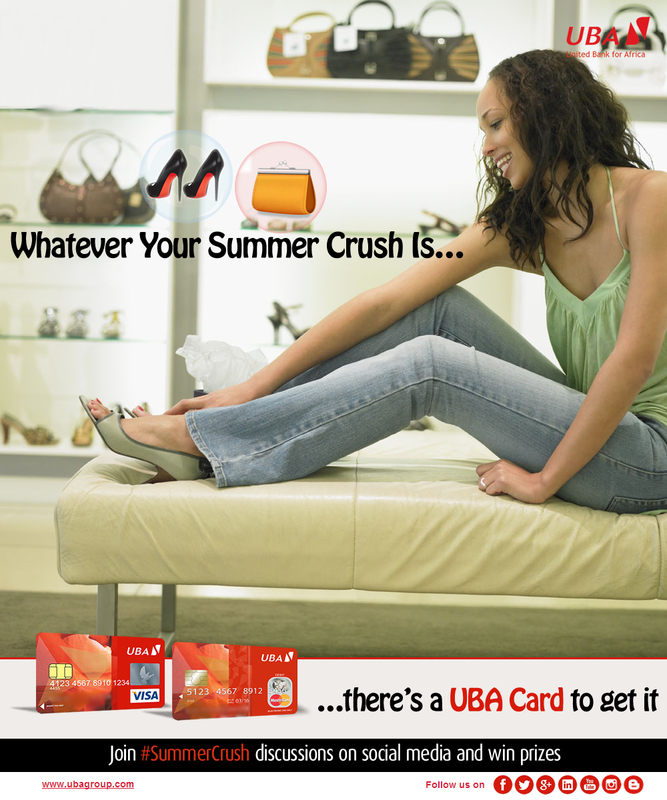 Summer is almost here and United Bank for Africa (UBA) Plc has launched its cards campaign with the theme #SummerCrush with UBA Cards. UBA understands the relevance of the summer season to Nigerians who use their cards abroad, online or in-store and has created a campaign about how the UBA Card can help its holders to achieve their desires this season and beyond. 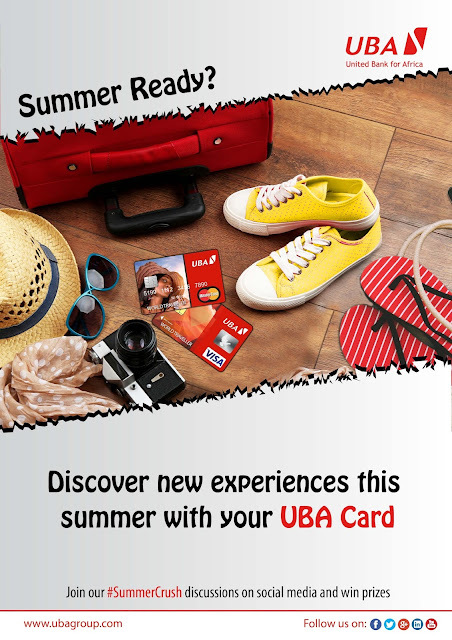 Be it a vacation with the family or an item to purchase, there is a UBA Card story behind every memorable summer experience. UBA Cards are accepted in over 200 countries and are protected with second to none technology to ensure the security of all cardholders. Cardholders are encouraged to share their summer desires on UBA’s social media pages to qualify for amazing prizes. To encourage card usage, UBA has introduced instant card issuance for international and domestic cards. 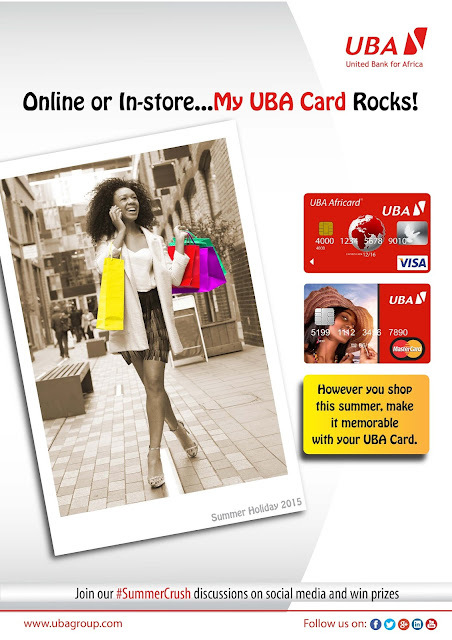 UBA is the first bank to issue instant international cards in Nigeria. Customers can walk into UBA Business Offices and get their cards in less than 5 minutes. 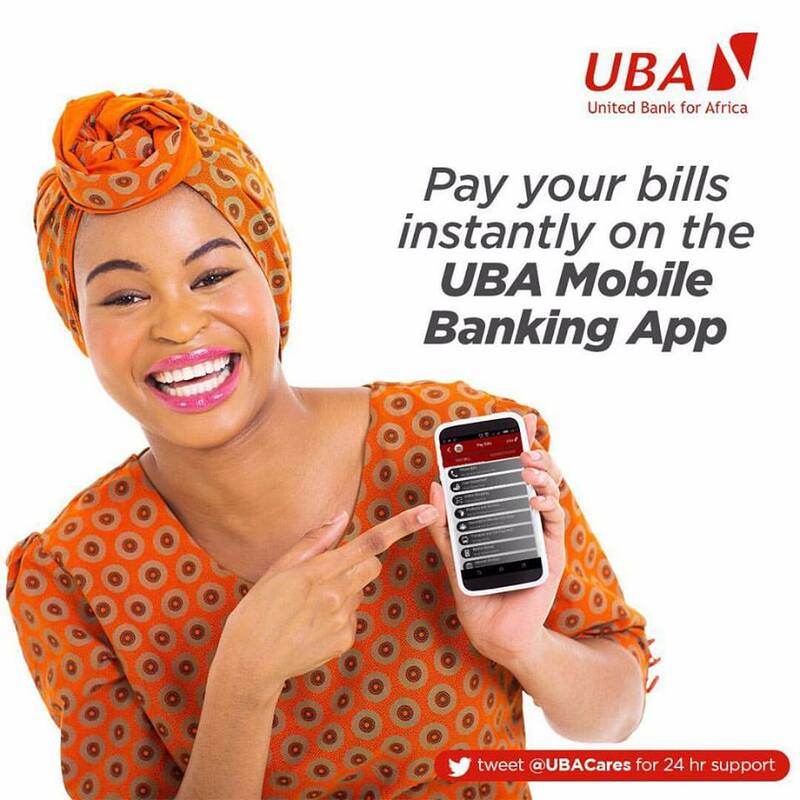 With a customer base in excess of eight million, UBA consciously adopts e-banking as a strategy to improve efficiency in service delivery and enhanced customer experience to all its customers, spread across its 22 countries of operations globally. UBA has invested heavily in building a robust and secure e-Banking platform that supports its operations through strategic partnerships with various local and international organizations. UBA is a highly diversified financial services institution and leading provider of innovative e-banking solutions across Africa and one of the largest financial institutions in Africa, with offices in New York, London and Paris.